Let's take a look at how we set up the wysiwyg and attach it to text formats. 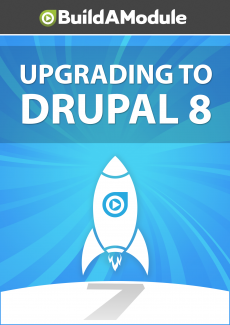 In Drupal 8 we're going to click manage and then configuration, content authoring and then text formats and editors. In Drupal 7 we would hit configuration and then go to text formats. In Drupal 7 there's three text formats by default: filtered HTML, full HTML and plain text. In Drupal 8 these have been adjusted. There's basic HTML, restricted HTML, full HTML and plain text. The two formats basic HTML and restricted HTML have been split off from what used to be filtered HTML. One of them is a bit more permissive and one of them is more restricted. Plain text, even though we see it in both places, won't display as an option when we edit content.